Our collection is handcrafted by a private jewelry designer that designs for individuals, unique shops and boutiques. Our designer creates meticulous pieces that are often on of a kind. 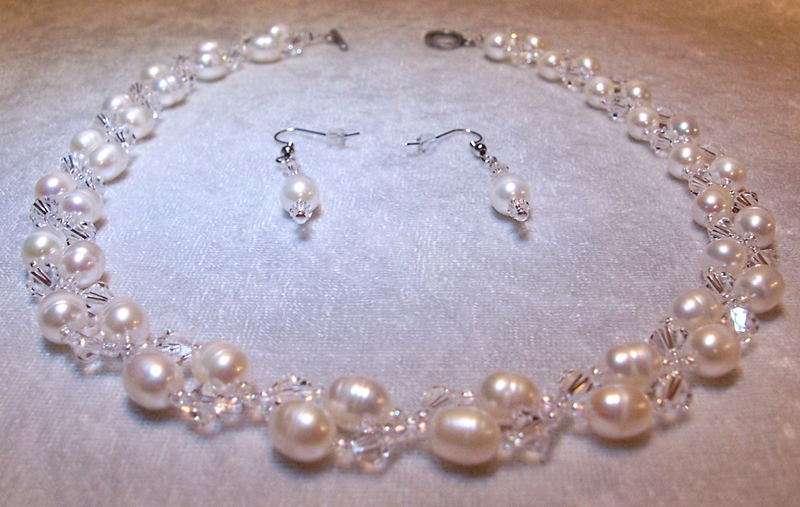 Our collection of handmade woven necklace sets features freshwater pearl necklace sets, Woven Swarovski crystal and Celestial crystals. The single strand weave is beautiful and durable for long lasting wear. 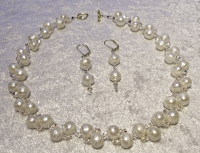 Other necklace collections include wedding necklace sets and nautical and beach style. Visit our auctions on our gallery page and shop for a unique necklace set, handmade right here in the USA.